How much is that Grumpy Cat Snuggie? After 20 minutes looking for a price checker, I still don't know. Sound familiar? If you've shopped in a Walmart lately, you know exactly what I'm talking about. You walk into the store and find something you are interested in. Like many items, It doesn't have a price on it. Even if you eventually find a price written on the shelf, you have no idea if it's on sale, so you look for the "nearest" price checker. 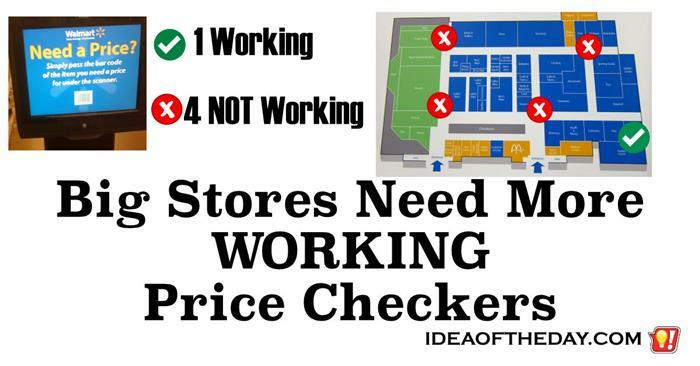 The trouble is, the store is the size of several football fields, yet it only has 4 price checkers and you can't find them. You finally find a sign on a pole that says "check price here", expecting to find the elusive price checker and it's broken.